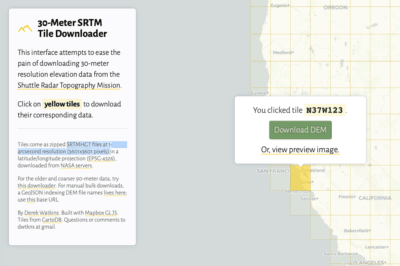 The Map Projection Selection Tool was developed to help cartographers pick the best map projection for making maps in a GIS software program. Selecting an appropriate map projection is one of the first important decisions when working and mapping out GIS data. 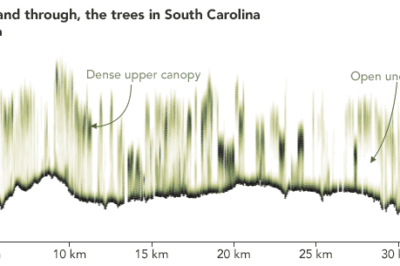 Since two dimensional maps require a compromise, selecting which parameters are necessary to preserve (size, shape, or direction) is important. 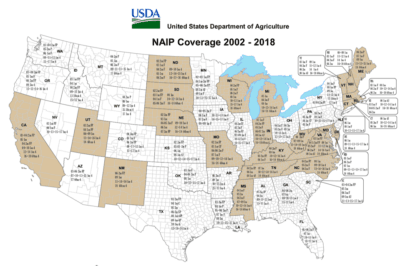 The Map Projection Select Tool provides suggestions for picking a projection that preserves the spatial property selected and is accurate for the geographic area of interest. Users set up the geographic extent and distortion property (equal-area, conformal, equidistant, or compromise). 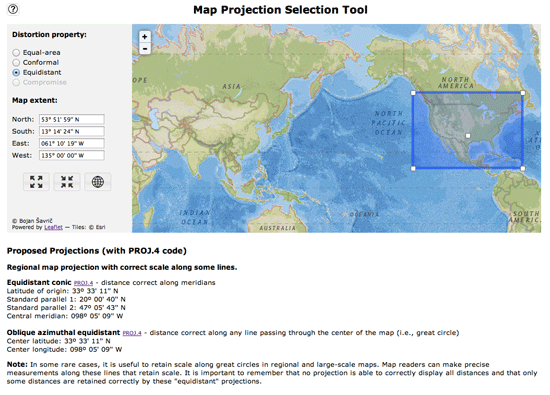 A list of suggested appropriate map projections is then provided to the user. The suggestions and additional projection parameters are pulled from “A Guide to Selecting Map Projection” book chapter, written by the Cartography and Geovisualization Group at Oregon State University. Next to each projection listing is a link to the PROJ.4 library code for use in GIS and cartography software programs.